Small in design but large in features the Chatsworth black 1530 gives a grand look to enhance any conventional setting. Let nothing come between you and your freedom. This Royce Morgan Freestanding bath has beautiful curves with grand French features, this range exemplifies a truly individual experience. looking to create a traditional bathroom with a black and white tiled floor. 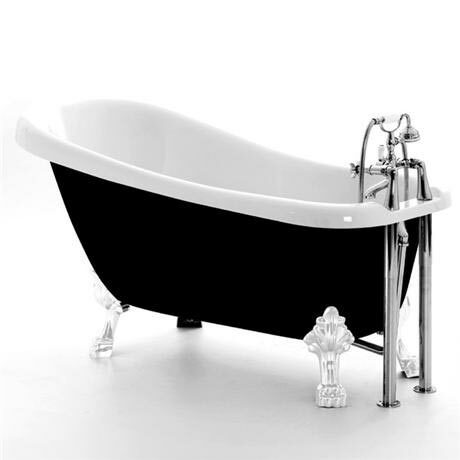 We thought the traditional design along with the perfect black and white contrast of this bath were perfect. Ordered it, delivered on time and in perfect condition, looks amazing just waiting for plumber now!